Introducing TICKLE: The Toy Interface Construction Kit Learning Environment « Adafruit Industries – Makers, hackers, artists, designers and engineers! My friend Eric Rosenbaum and I are trying to find out. 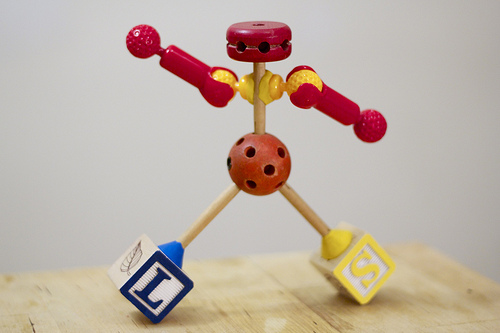 We’re inspired by Golan Levin and Shawn Sims’s Free Universal Construction Kit, which allows anyone with a 3D printer to connect previously-incompatible construction toys. We love that Golan and Shawn released his designs with a Creative Commons license, but 3D printers remain far too expensive for most people. The Toy Interface Construction Kit Learning Environment (T.I.C.K.L.E.) is a universal construction kit for the rest of us. It doesn’t require 3D printers or CAD skills. Instead, we’re using Sugru, a self-setting rubber material invented by our friend Jane. When we told them about the idea, Jane and James sent us some extra Sugru to try it out. 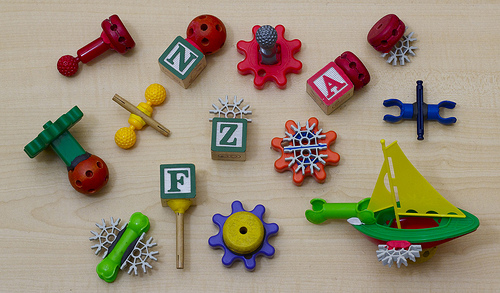 Over several weeks, Eric and I collected a basic set of construction kits: TinkerToys, Gears Gears Gears, wooden blocks, Zoob, and K’Nex. Some of the kits were new to us, so we played with them in the evenings to learn what they can do. Then on Monday, Eric and I started building in earnest. And remember that we offer sugru should you want to bond, well, anything to anything! Multi-colour 8 x 5g minipacks inside a lovely big pouch for $17.95. You get two red, two yellow, two blue and one black and one white packets. You can smoosh the colors together to make new colors! Sugru does have a ‘use by’ date – we guarantee that you will have at least 6 months (and often its 9 or 12 months) to use your Sugru! 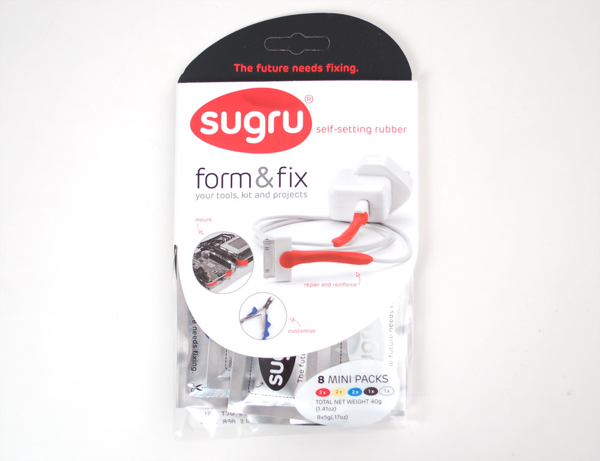 Get your packs of sugru here!